Rotorua things to do are not in short supply in the 'adventure capital of the North Island'. Famous for its geothermal activity, spa retreats and maori culture, there's never a dull moment. 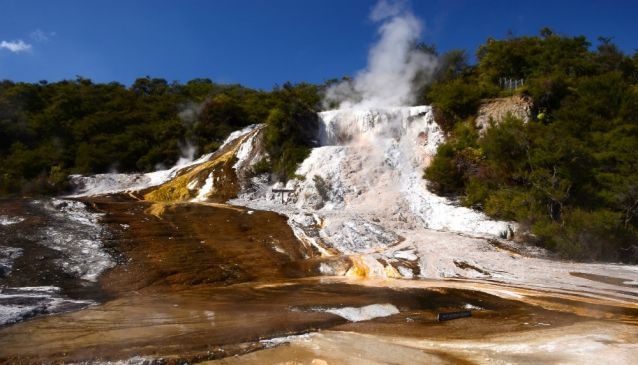 The plethora of geothermal and maori attractons are part of the reason why Rotorua is such a popular destination for Kiwis and tourists. To experience Rotorua, you really need to visit one of the geothermal attractions, relax at one of the natural spas or visit a Maori village. Rotoua is also rich in natural beauty surrounded by 16 lakes which provide a range of water based activities including kayaking, scenic cruises and fishing. For family fun and some of the best views of the region, take a ride on the Skyline Gondola up Mount Ngongotaha. As a centre for adventure, there are plenty of thrilling activites with bungy, jet boating, rafting and zorbing some of the most popular things to do in Rotorua. One of the first tandem drop zones in New Zealand, Taupo Tandem Skydiving is a widely respected skydiving operation and the TOP rated NZ skydive on Trip Advisor.